Home :: Indoor Radios :: The Mikrotik wAP 60G AP (RBwAPG-60ad-A) is weatherproof integrated 60 GHz wireless unit, that can be used indoors or outdoors in different scenarios - Base Station, Point-to-Point or CPE. 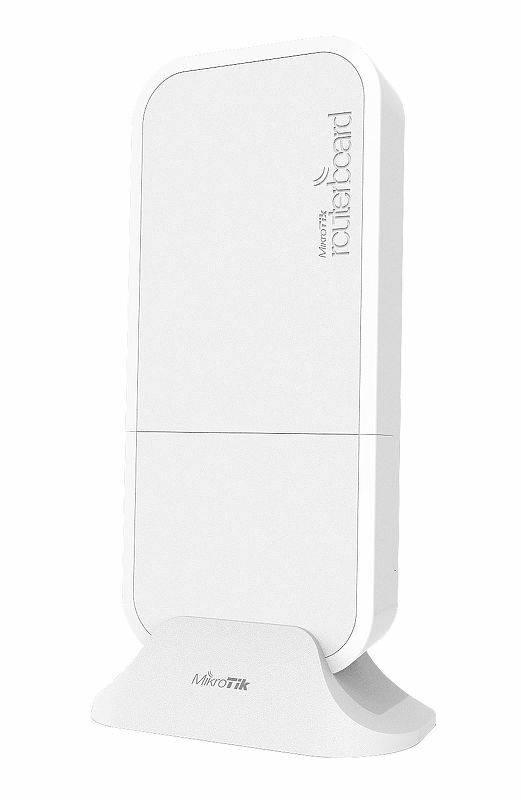 The Mikrotik wAP 60G AP (RBwAPG-60ad-A) is weatherproof integrated 60 GHz wireless unit, that can be used indoors or outdoors in different scenarios - Base Station, Point-to-Point or CPE. NOTE: wAP 60G A (RBwAPG-60ad-A) and wAP 60G (RBwAPG-60ad) are the same product with different RouterOS license levels. wAP 60G A has a Level 4 license which allows it to be a multipoint AP. wAP 60G has a Level 3 license which allows it to be a client unit (CPE), or one of two radios in a Point-to-Point link. The Wireless Wire (RBwAPG-60adkit) is a package with two wAP 60G (RBwAPG-60ad) units. Wireless Wire Dish (RBLHGG-60adkit), pair of preconfigured LHGG-60ad for 60Ghz link - New! Mikrotik ACGPSA is standalone active GPS antenna, that works in 1575.4 MHz spectrum - New! Mikrotik RouterBoard CCR1036-8G-2S+EM Extreme Performance Cloud Core Router with 8-10/100/1000 ethernet ports, 2 SFP+ ports and RouterOS Level 6 license - New! Mikrotik PL6411-2nD 802.11b/g/n WiFi AP with a single Ethernet port and capability to connect to other PWR-LINE devices - New!